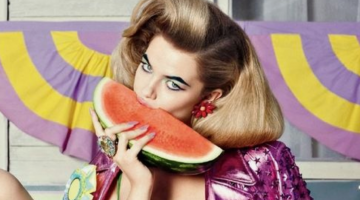 It’s a common question filtered into our mailboxes – what do models really eat? And as much as the stereotype might lead you to believe, models don’t survive on cigarettes and coffee alone. Obviously there is a lot of extra work that goes into maintaining a physique as long and lean as required, but when it comes down to it, models are just like you and I – everyday people enduring the same stressors of life as we do. Meaning although they may clearly aim to eat healthy 90% of the time, they might find themselves out for brunch and order french toast or running out the door with no time to eat anything at all. So when you continue below make sure you remember that.